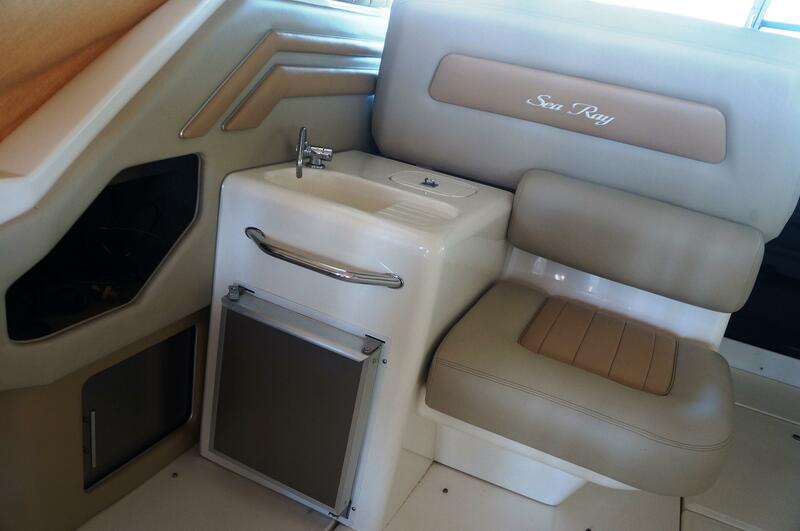 SEA RAY GOT IT RIGHT WITH THIS ONE!! 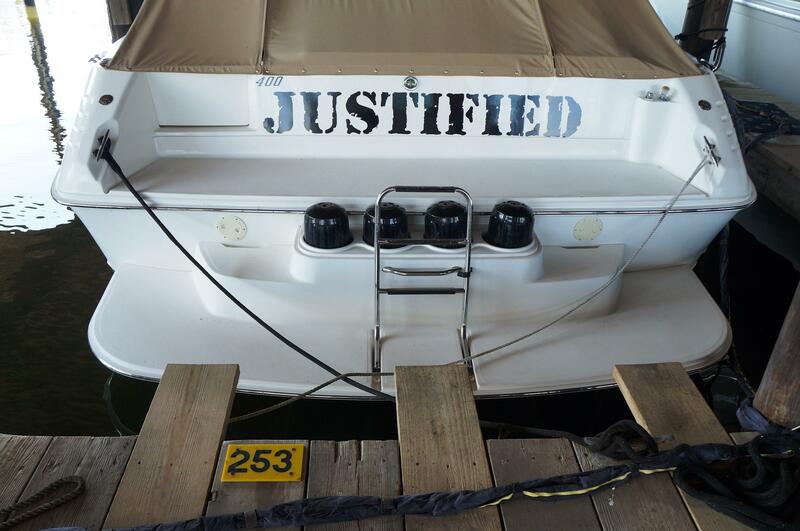 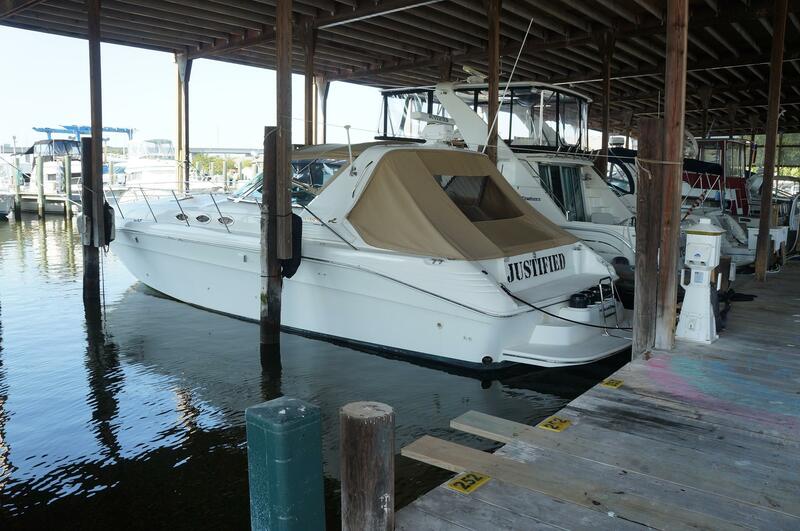 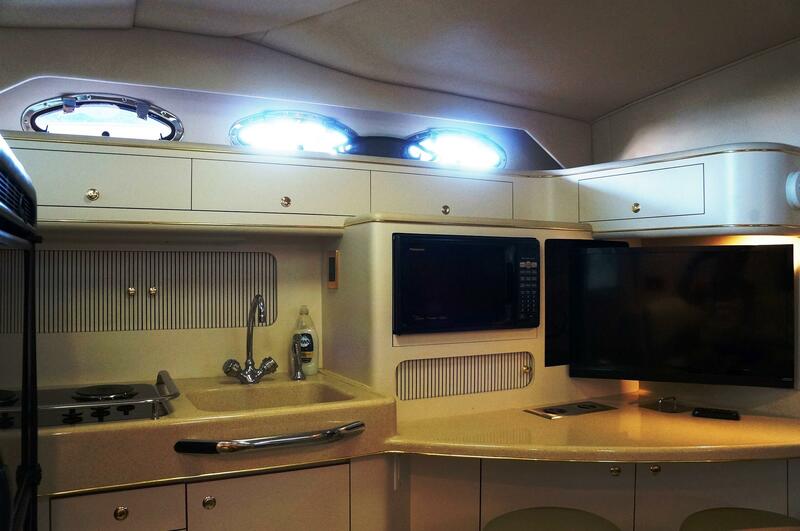 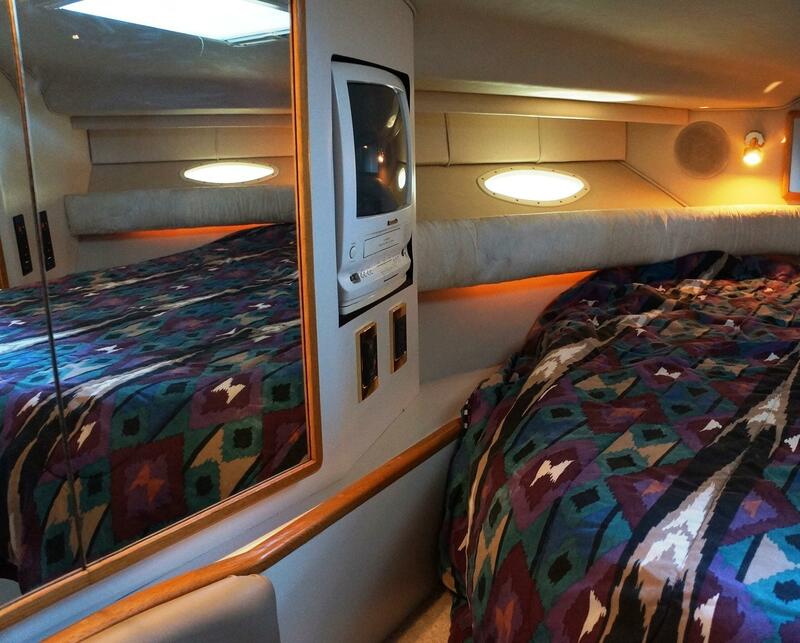 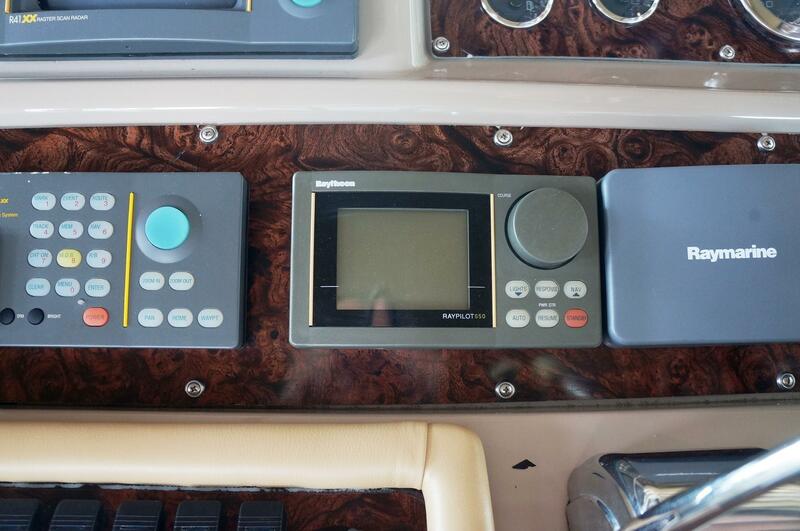 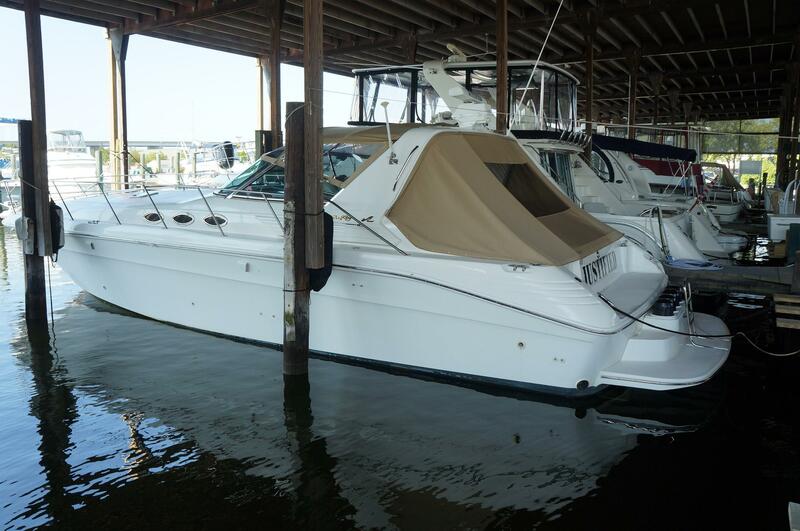 THIS 400 EXPRESS MAY JUST BE THE CLEANEST ONE OUT THERE, SHE IS SHED KEPT AND JUST SHINES FROM BOW TO STERN! 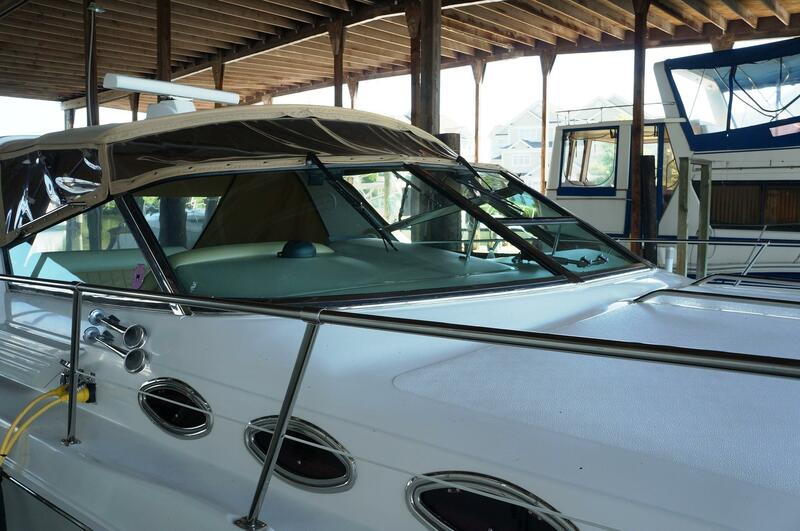 THE FIRST THING YOU WILL NOTICE IS THE ATTENTION TO DETAIL THE CURRENT OWNER HAS GIVEN HER, FULL DETAIL SERVICE 2 TO 3 TIMES A YEAR AND WASHED TWICE A MONTH. 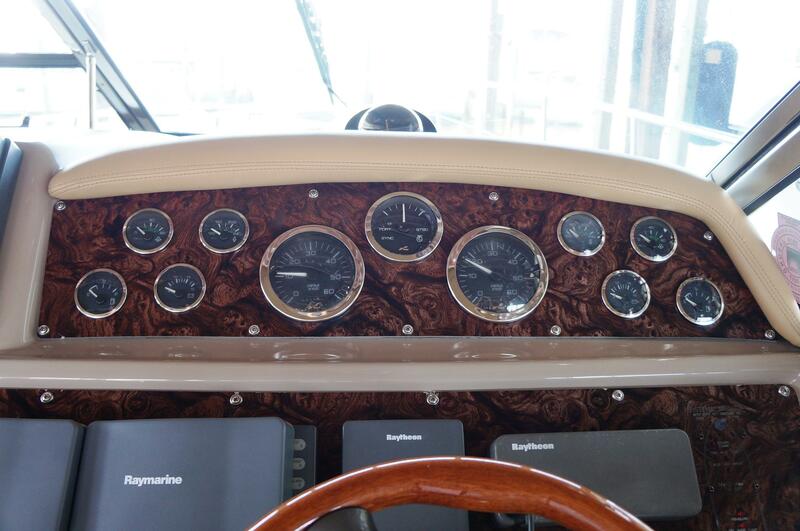 HER CANVAS SHOWS INCREDIBLY WELL AND HER COCKPIT AND HELM SEATING HAS ALL BE REPLACED WITH A BEAUTIFUL 2 TONE! 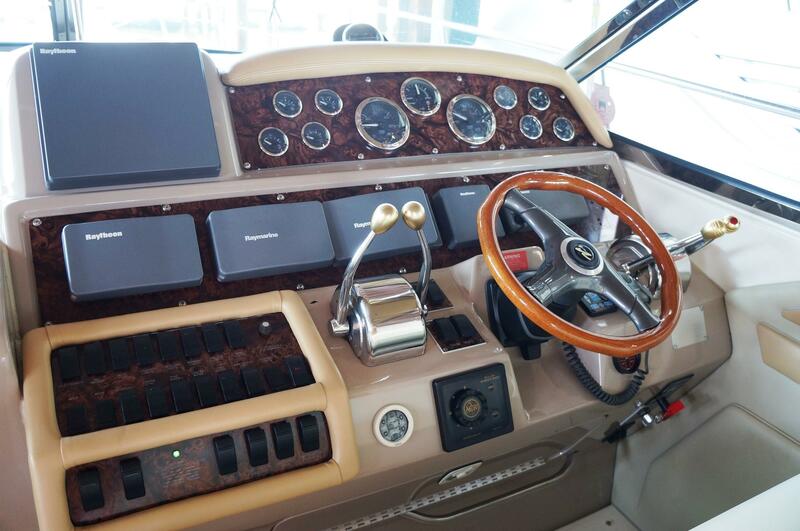 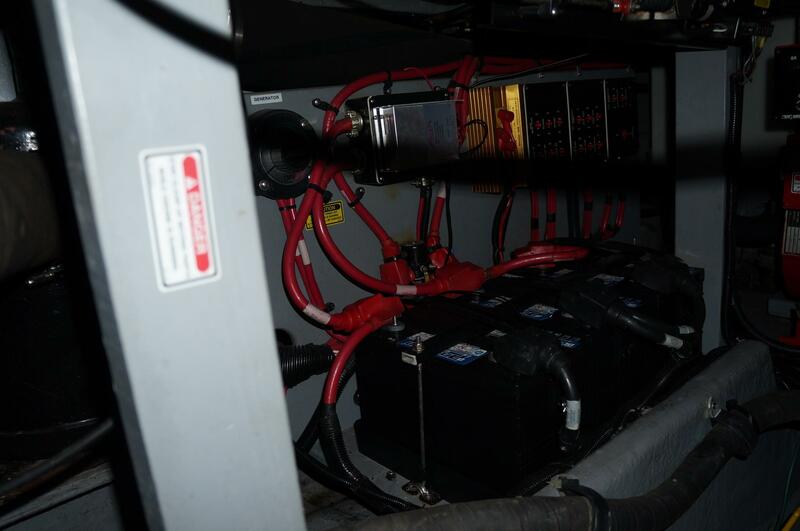 SHE IS POWERED BY TWIN MERCRUISER 7.4 HORIZONS, 380HP, WITH ONLY 637 & 645 HOURS. 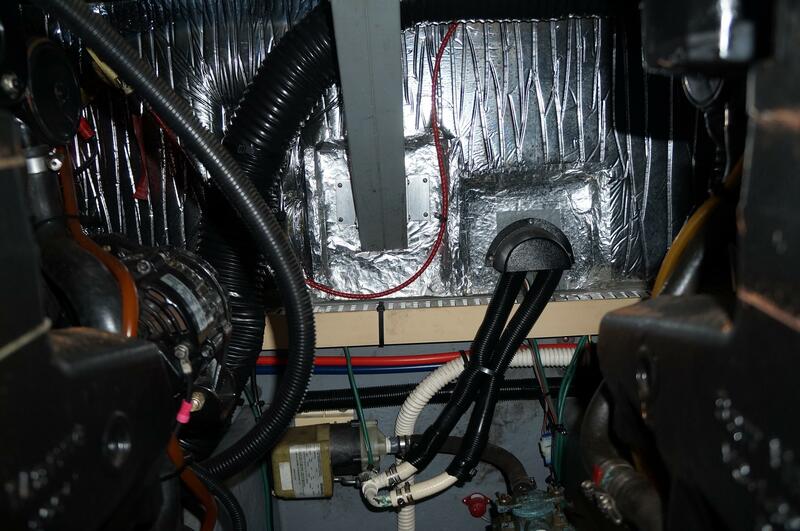 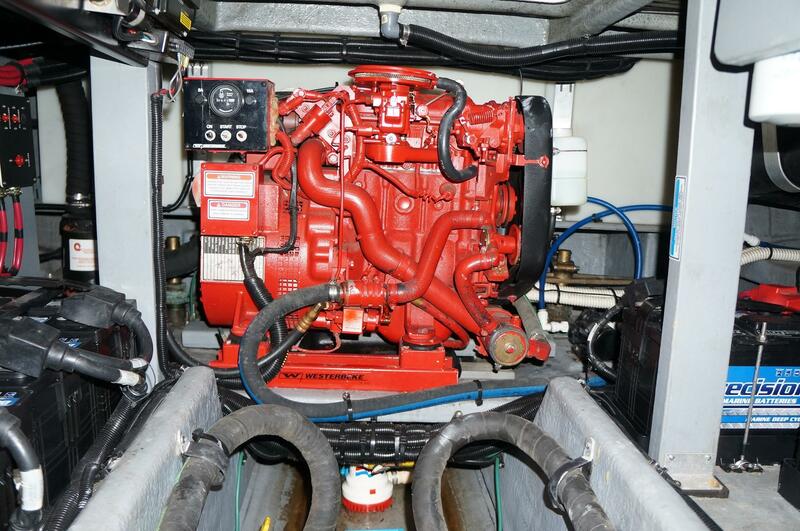 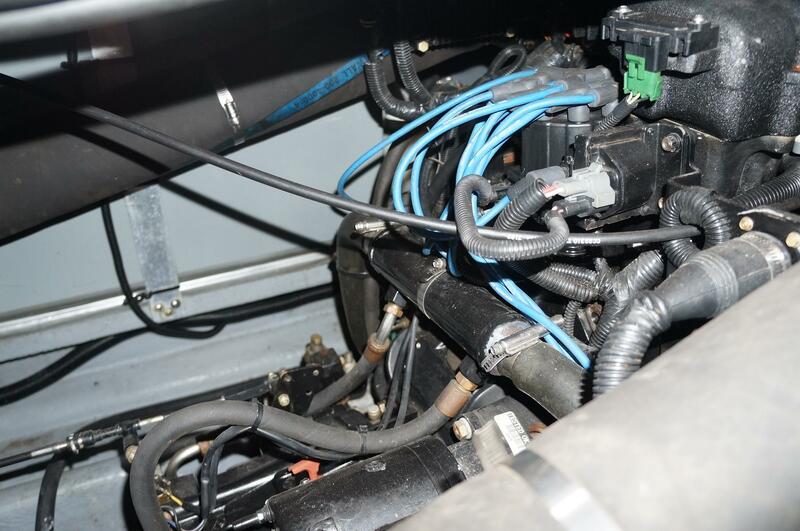 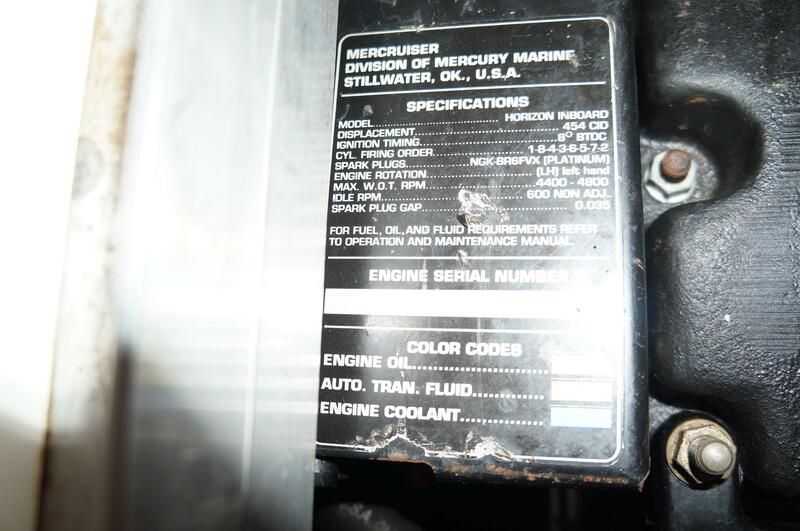 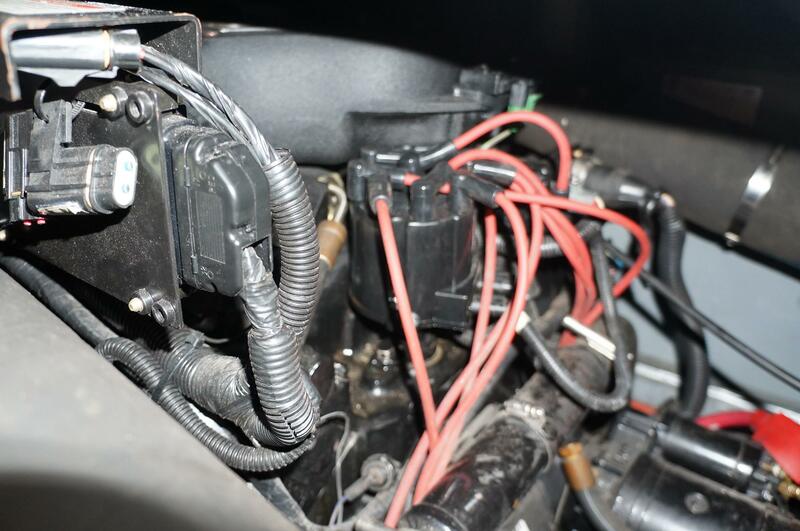 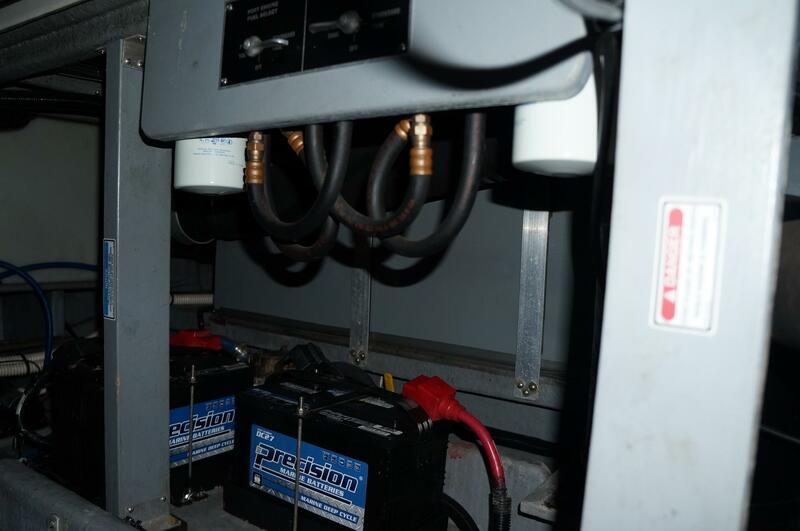 THE ENGINES HAVE JUST HAD COMPLETE TUNE UPS, FULL SERVICE AND MANIFOLDS & RISERS REPLACED. 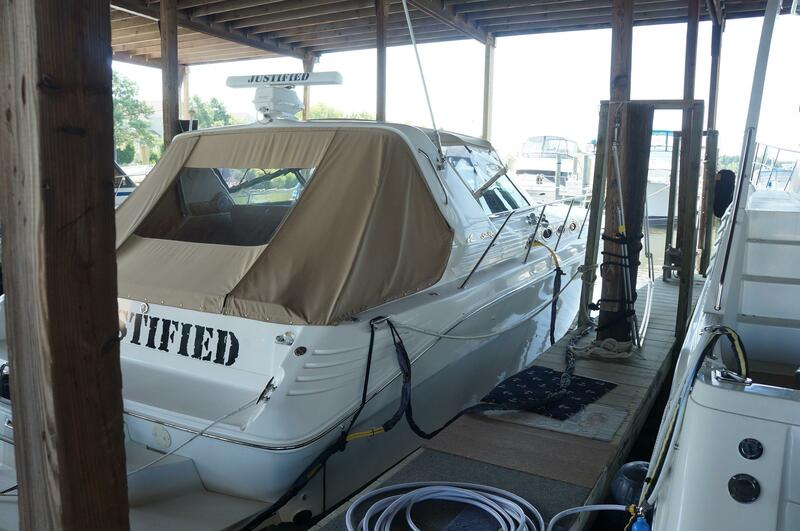 HER HELM IS VERY WELL LAID OUT AND IN GREAT CONDITION. 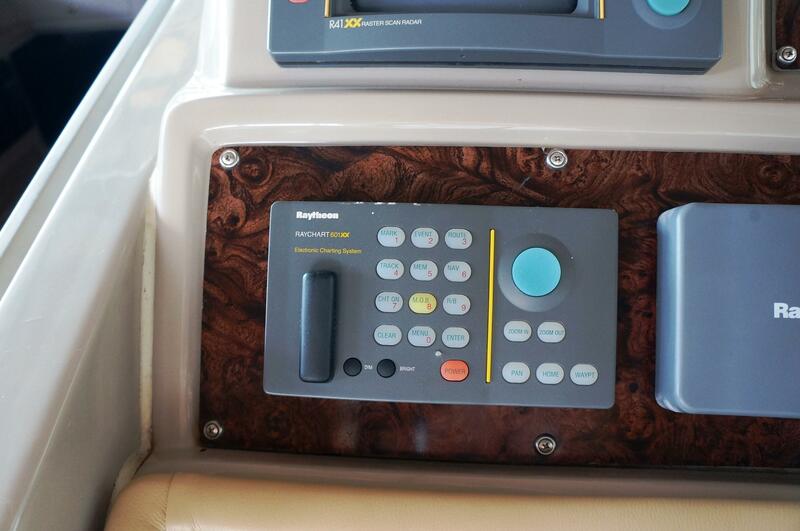 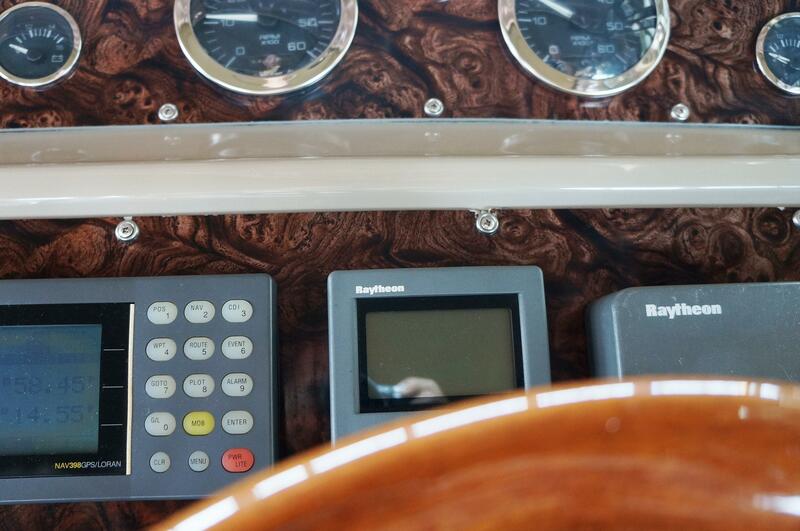 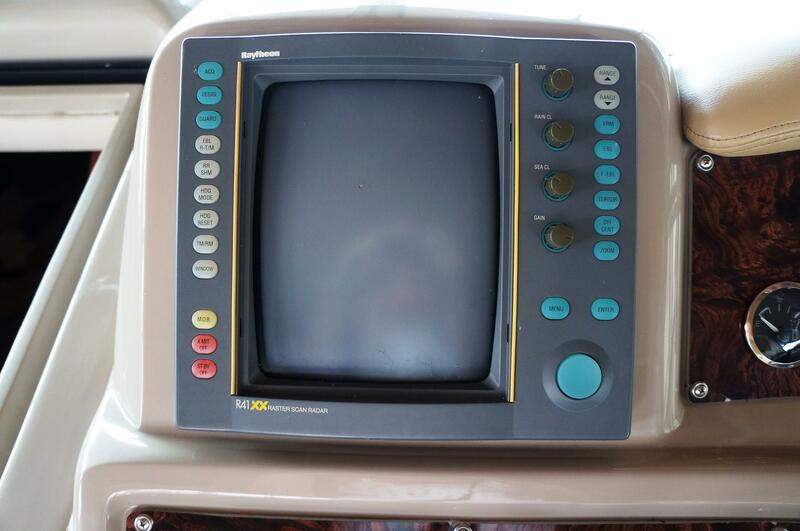 SHE INCLUDES A FULL COMPLIMENT OF ELECTRONICS, ALL RAYTHEON, INCLUDING AN OPEN ARRAY RADAR, PLOTTER, GPS, AUTO PILOT, VHF & A REMOTE STEREO CONTROL AT THE HELM. 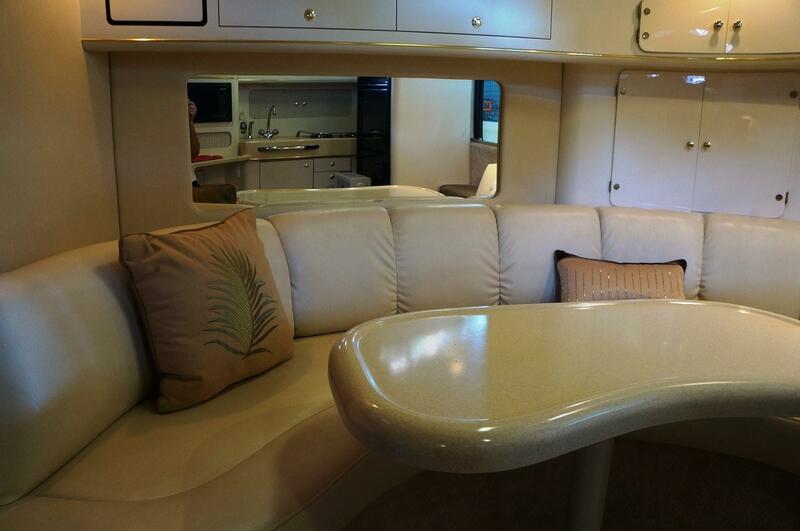 AS YOU MOVE BELOW THRU THE WIDE SLIDING CABIN DOOR YOU ENTER A WIDE OPEN SALON/DINING/SALON AREA WITH THE CLASSIC OPEN 2ND STATEROOM SOFA. 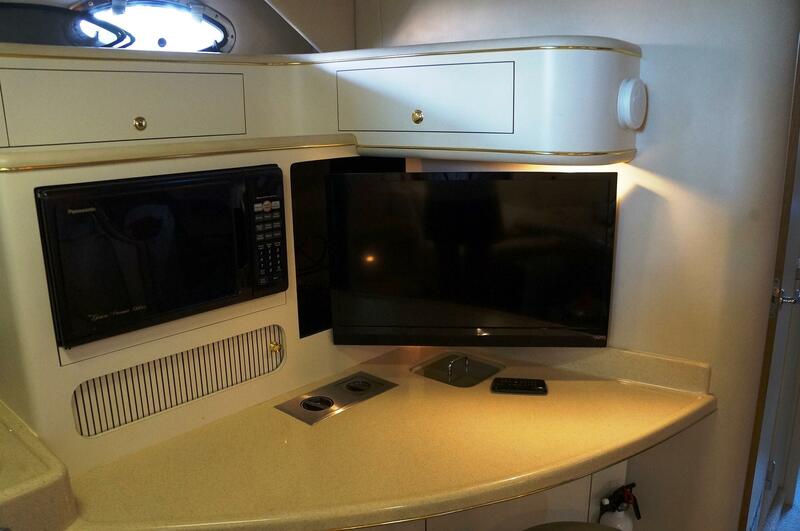 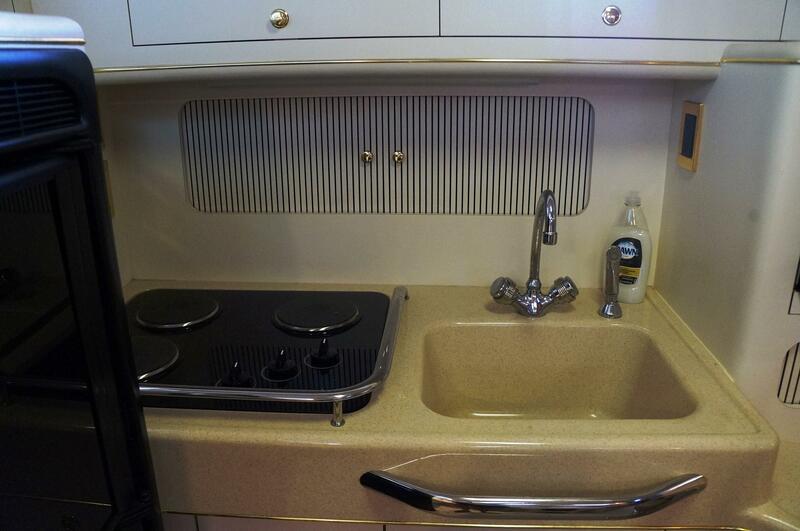 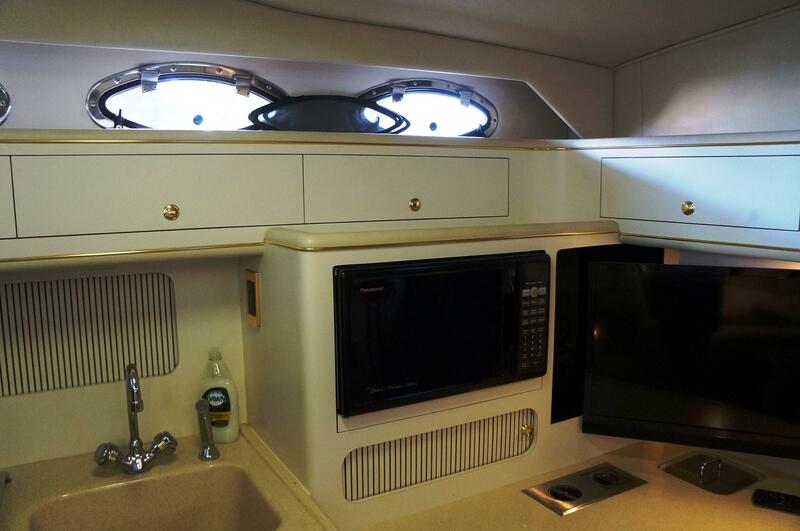 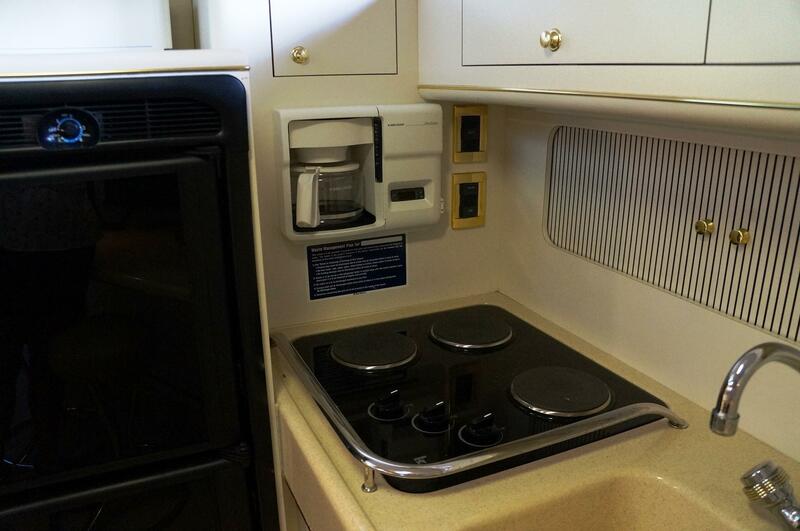 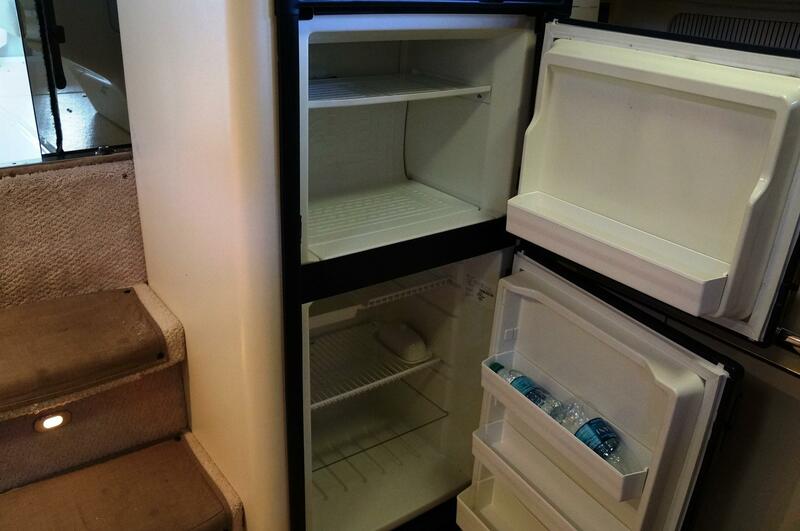 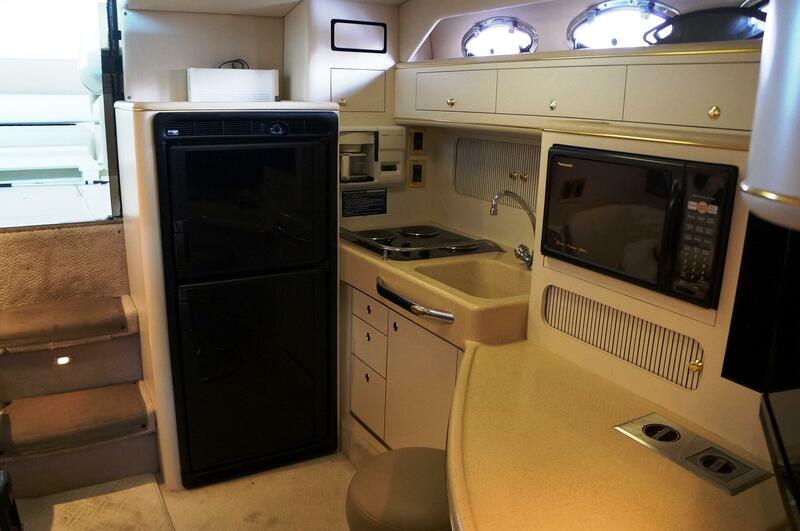 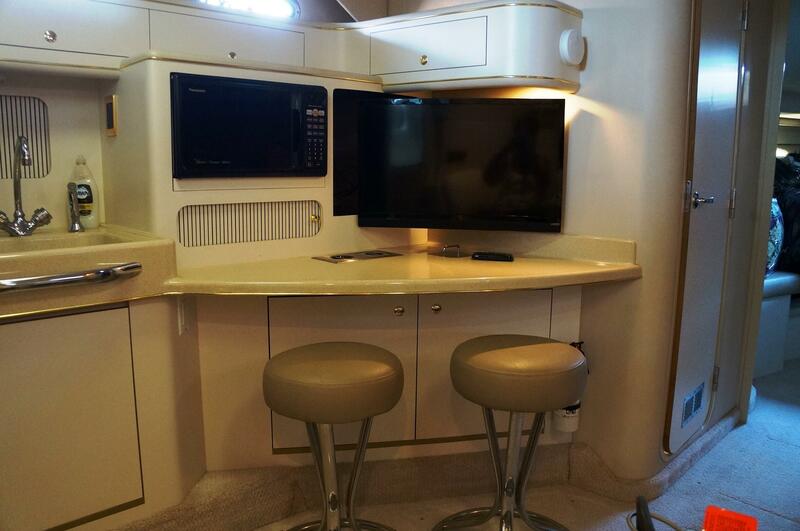 SHE INCLUDES A FULL SIZE REFRIGERATOR, MICRO WAVE, 3 BURNER COOK TOP AND PLENTY OF COUNTER SPACE & STORAGE. 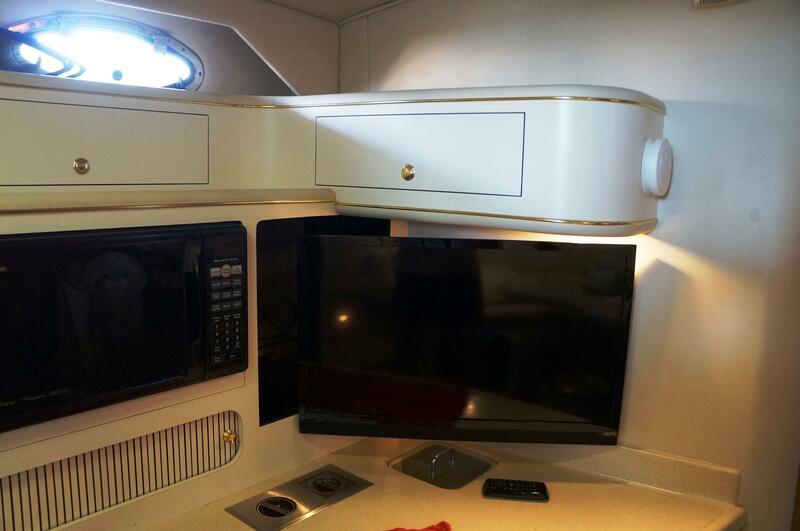 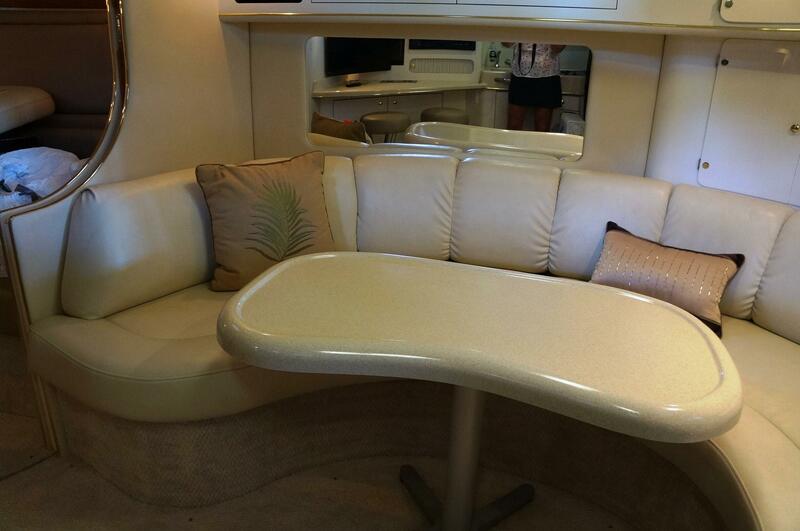 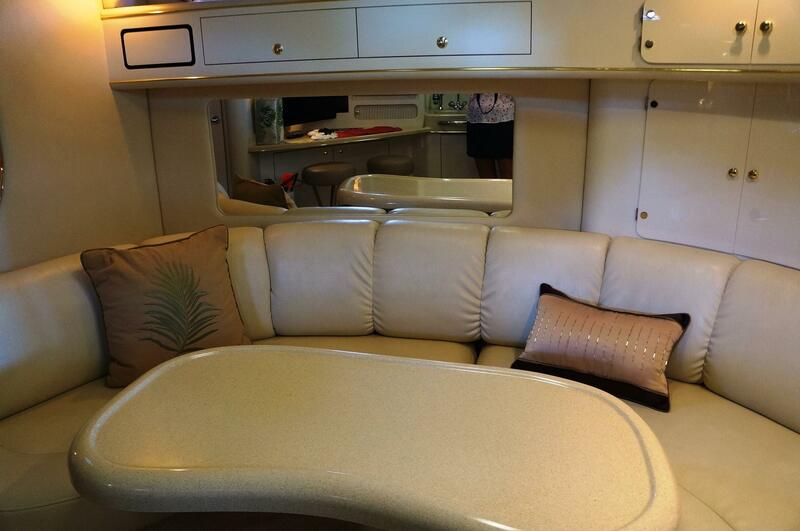 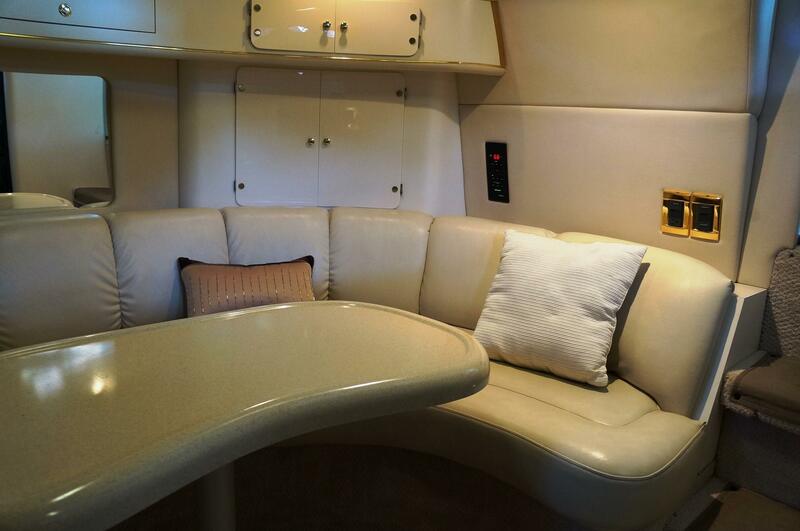 ACROSS FROM THE GALLEY IS THE C SHAPED DINETTE/SOFA W A TABLE. 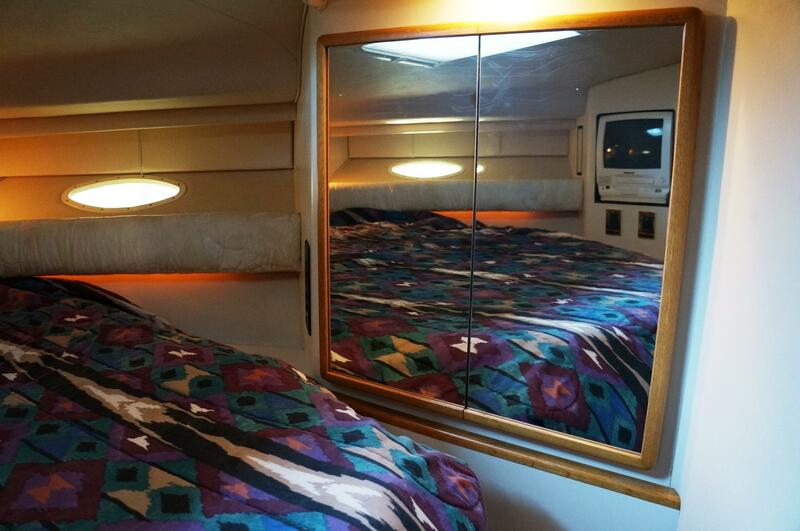 JUST AFT IS THE 2ND STATEROOM W/SEMI CIRCULAR DOORS FOR PRIVACY & A FOLD DOWN UPPER BUNK OR LEFT OPEN WITH A VERY COMFORTABLE SOFA FOR ADDITIONAL SALON SEATING. 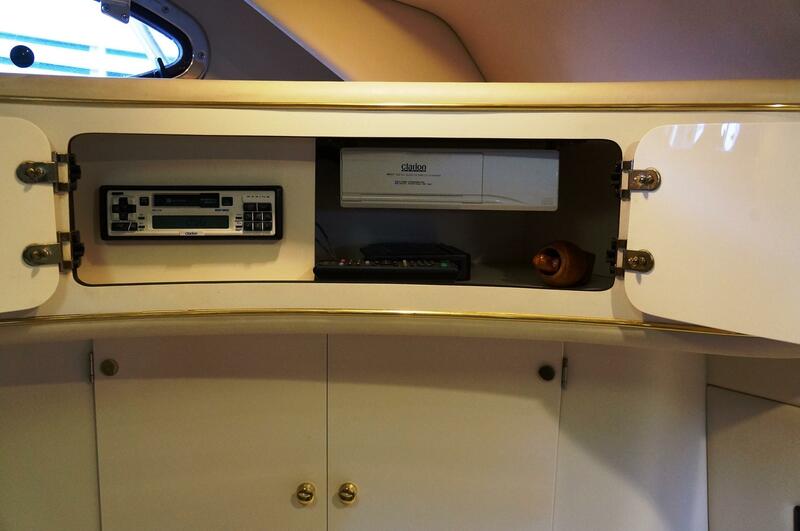 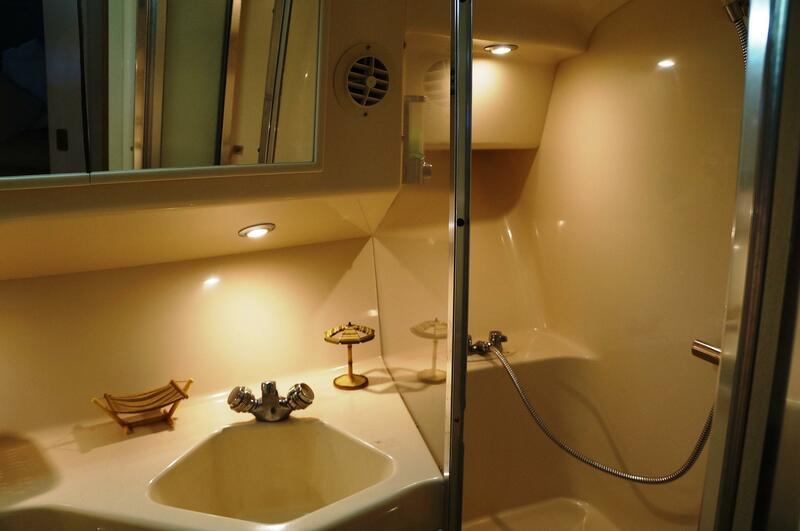 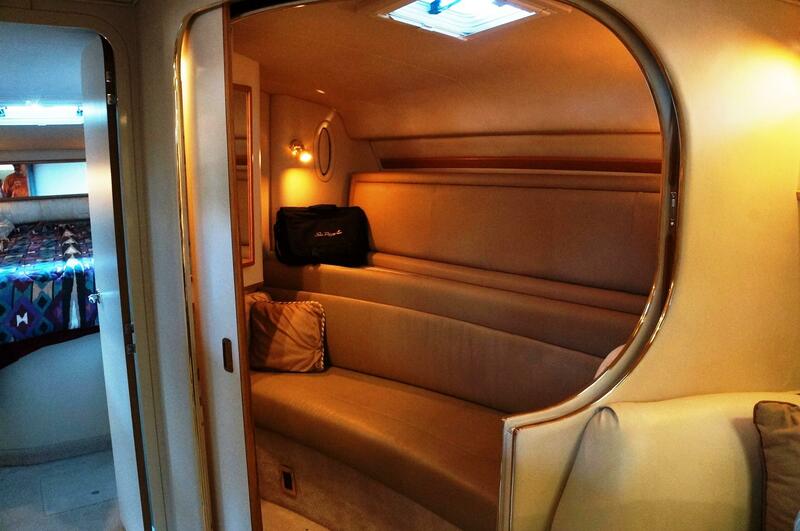 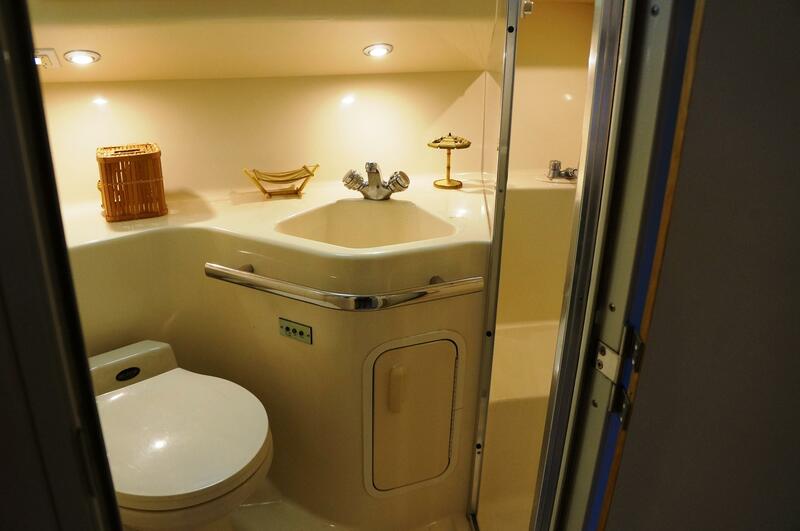 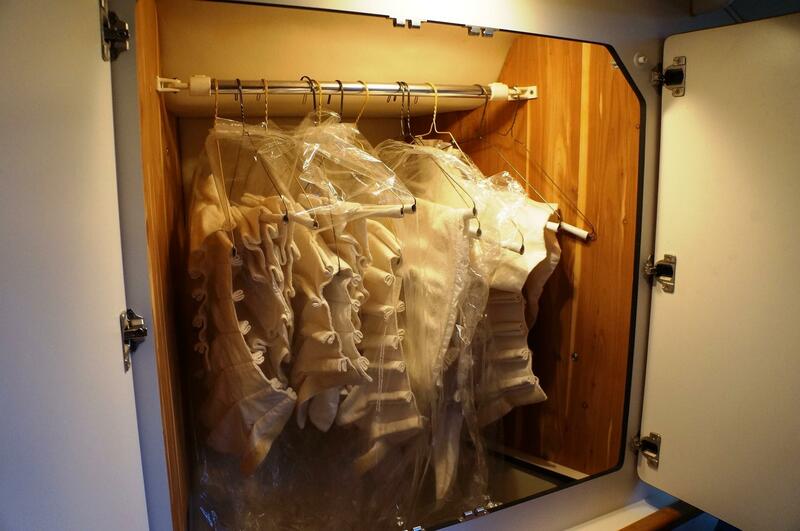 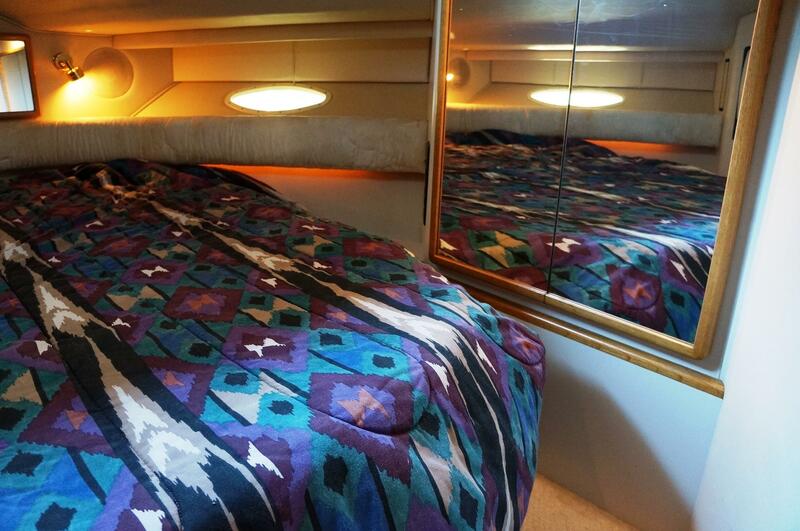 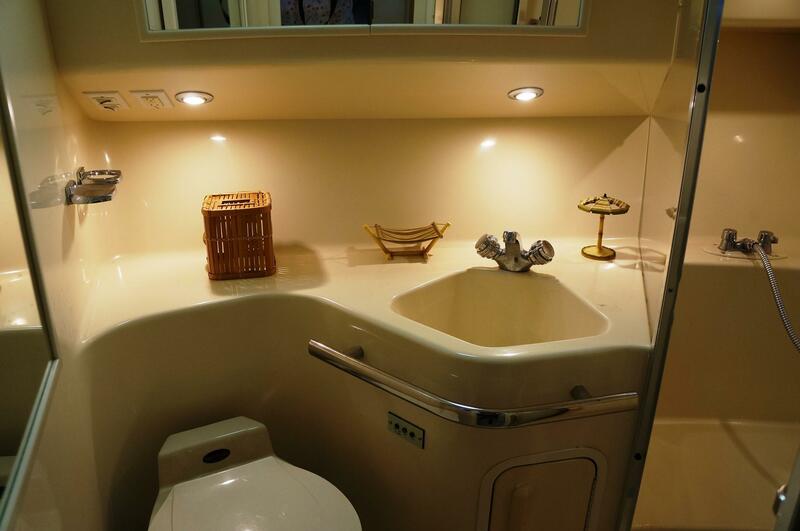 HER PRIVATE MASTER STATEROOM IS FORWARD W/ CEDAR LINED HANGING LOCKERS ON BOTH SIDES AND A CENTER LINE QUEEN BERTH. 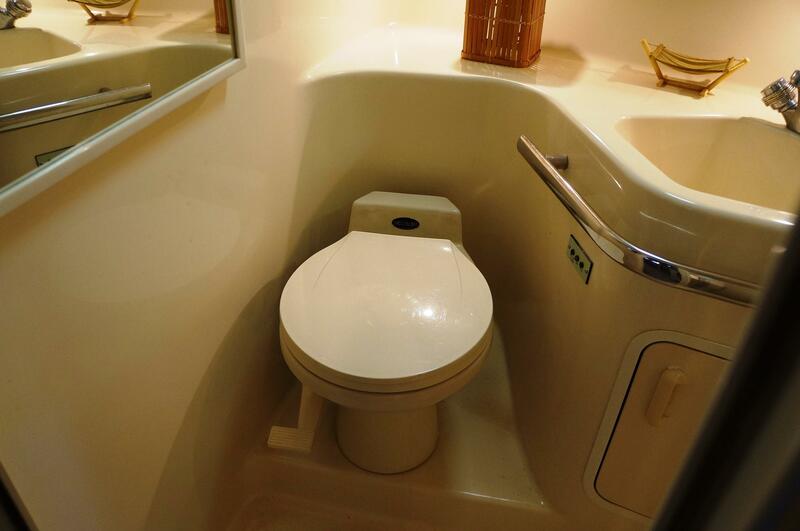 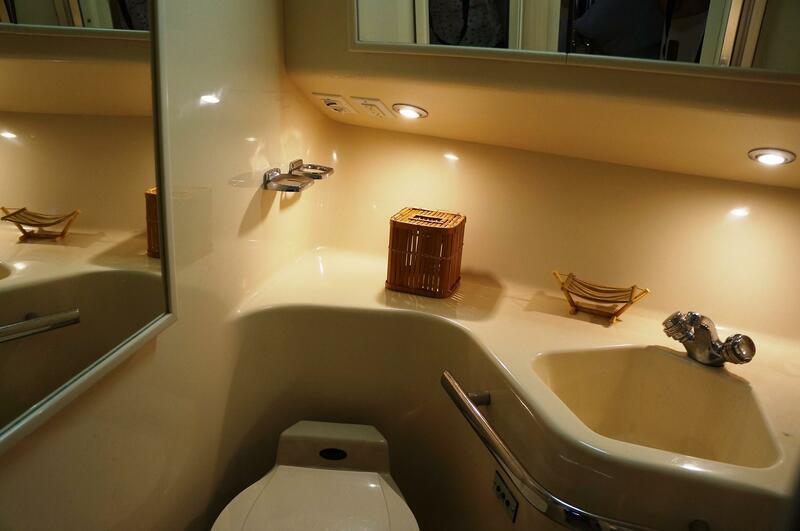 HER HEAD INCLUDES A VACU-FLUSH, VANITY W/ SINK AND A LARGE SHOWER STALL. 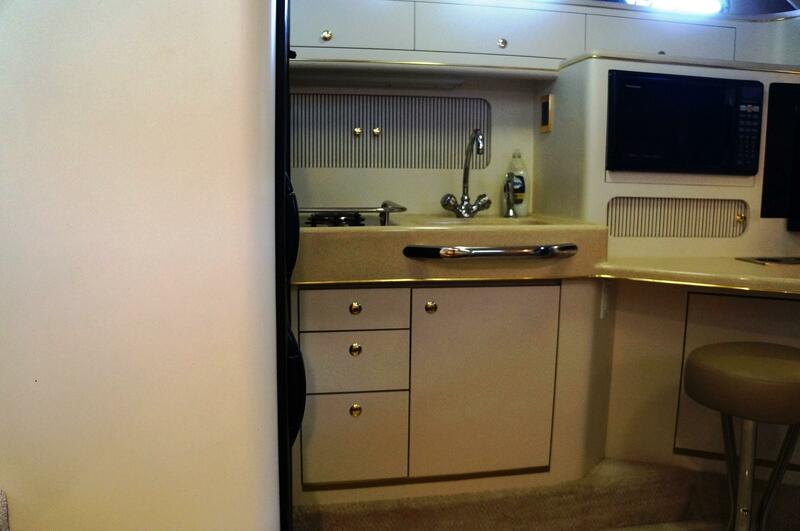 SHE ALSO HAS 2 A/C SYSTEMS TO KEEP THE CABIN COMFORTABLE. 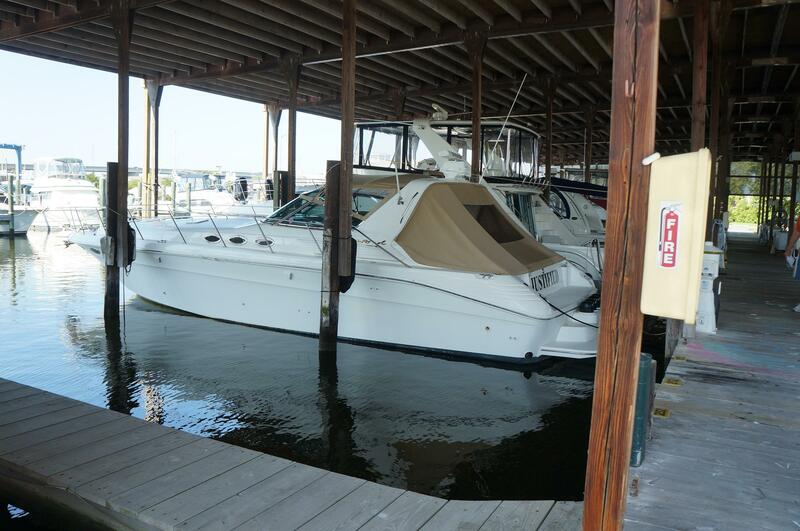 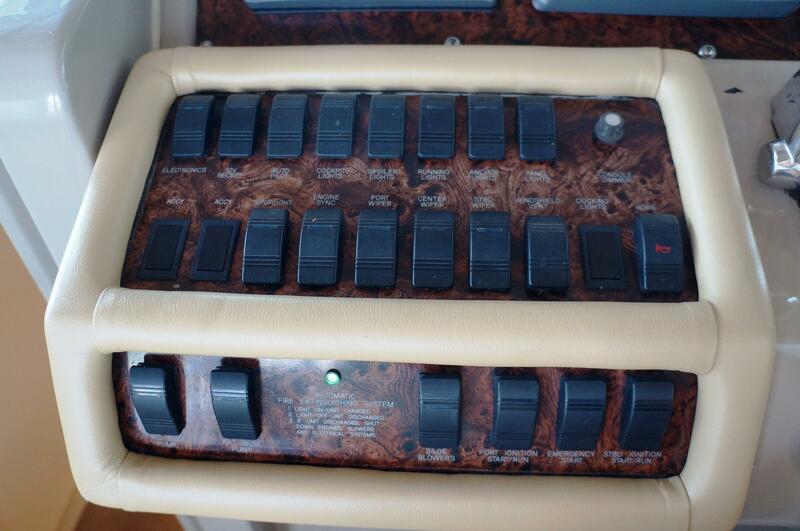 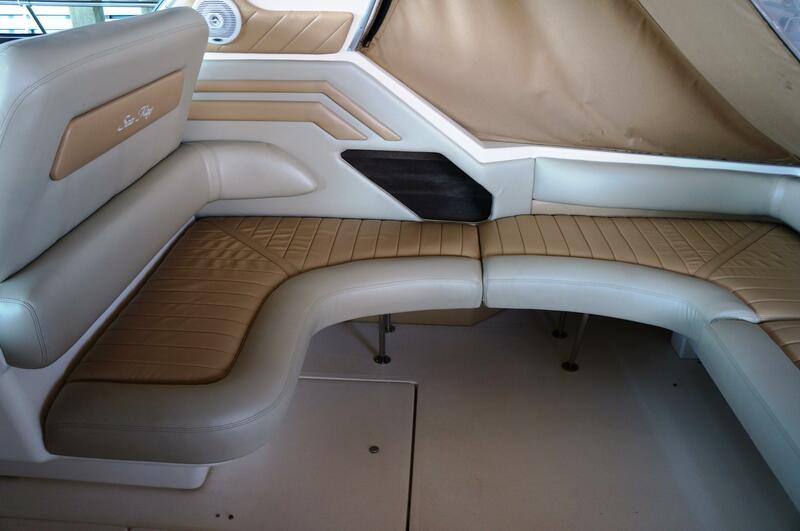 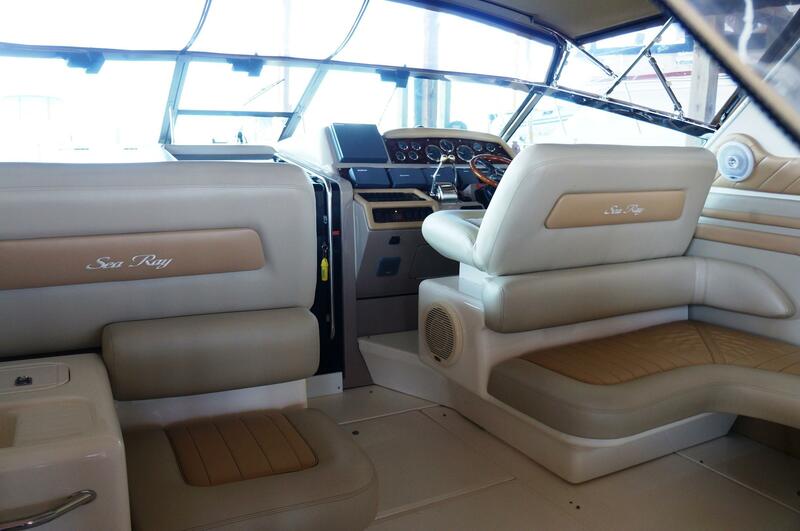 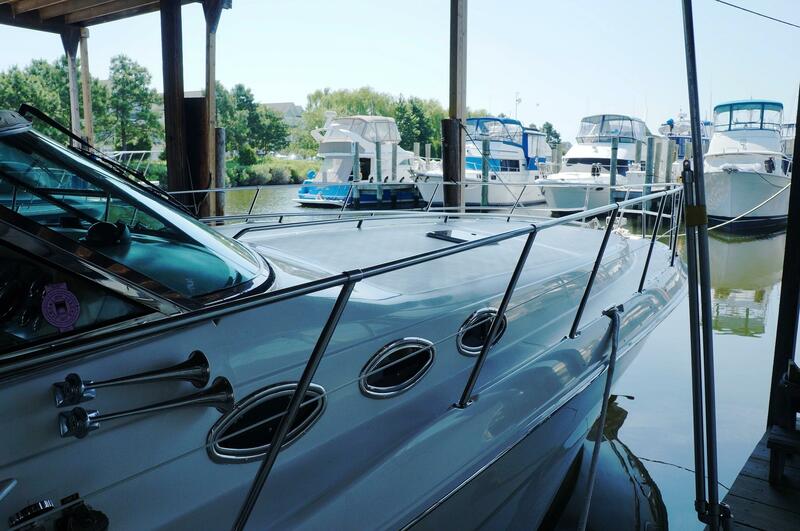 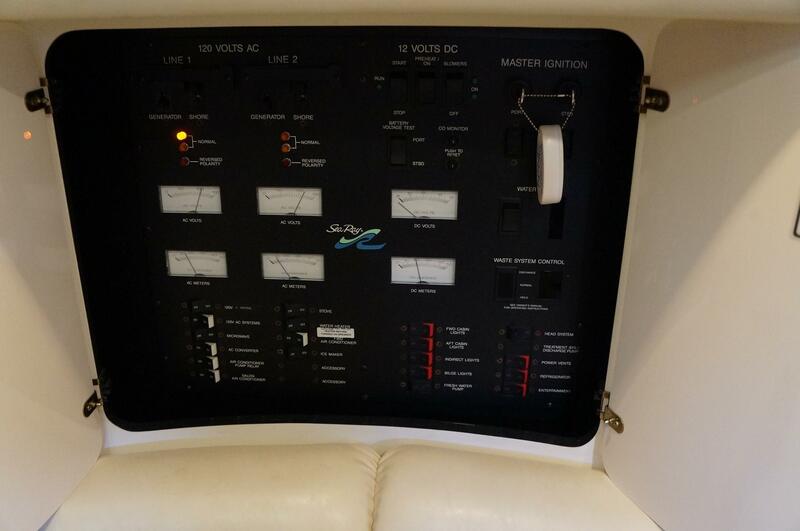 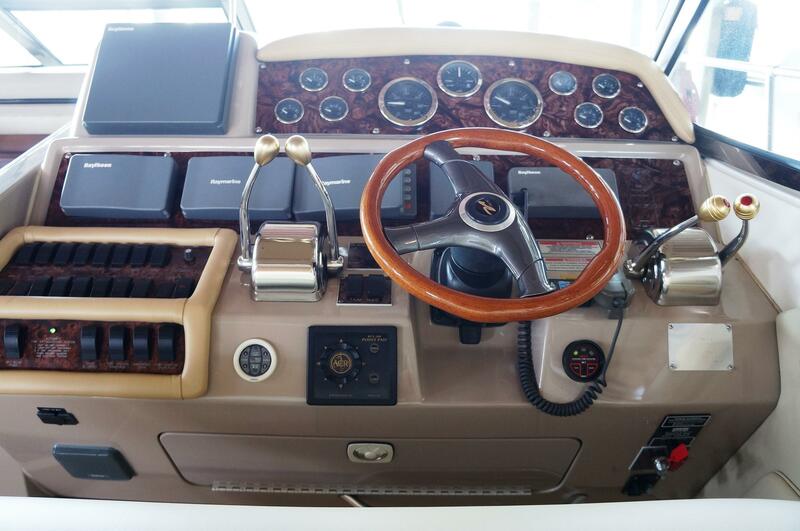 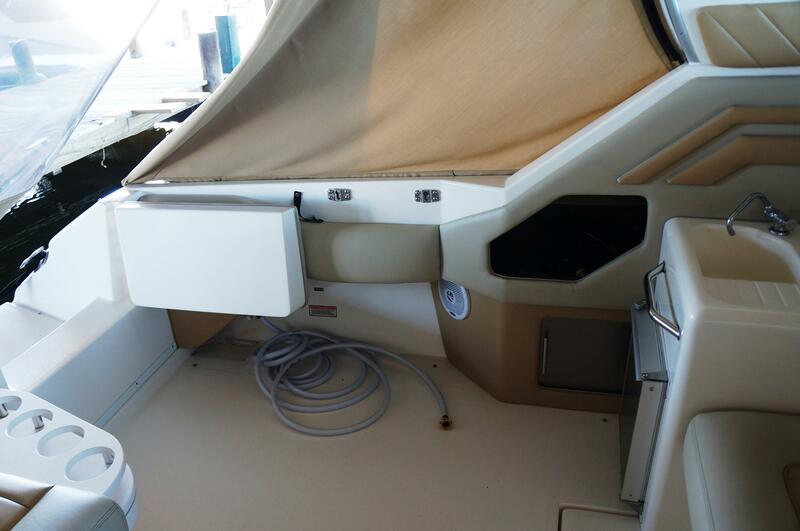 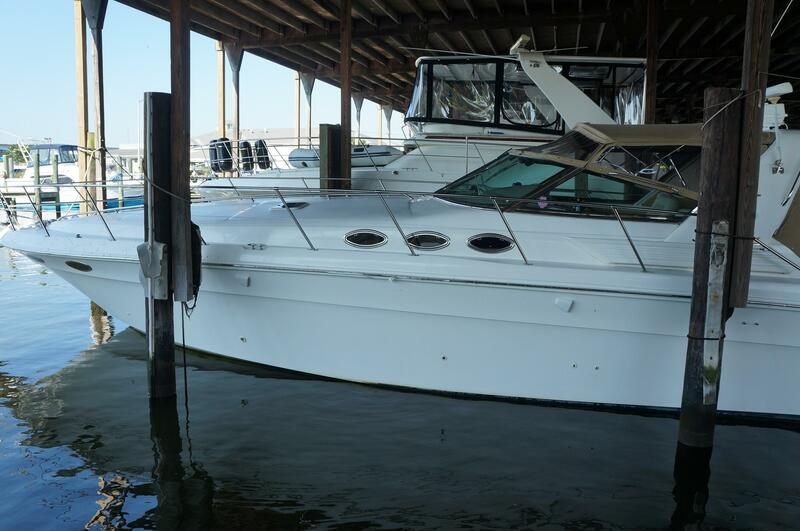 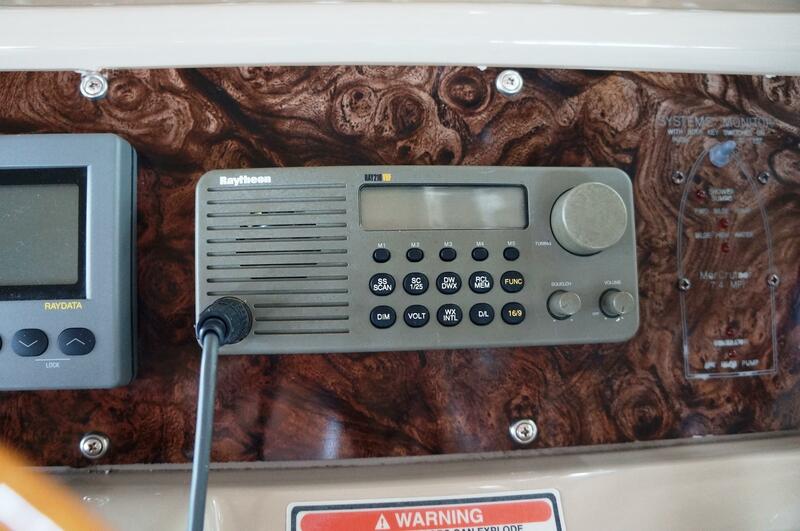 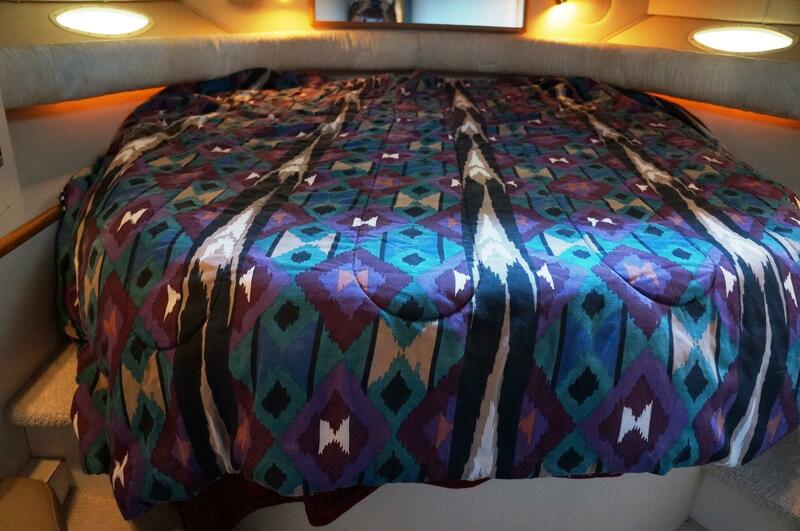 FOR MORE INFORMATION ON THIS BEAUTIFUL SEA RAY!